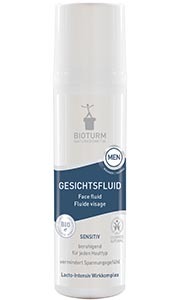 Also men need a care which is adapted to their skin’s requirements since there are a number of differences between male and female skin. Male skin is thicker and mostly rather oily compared to female skin. Normally, it needs rather moisture than lipids. Daily shaving also irritates the skin, thus already the shaving product should prevent from irritations and redness of skin. 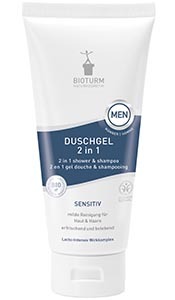 For cleaning, men love to take a 2 in 1 product giving hair and skin everything that’s needed for a fresh cleaning without drying out the skin. The subsequent care should be light and moisturising, quickly absorbed and leave a good skin feeling. 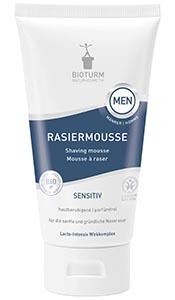 We have adapted all products of the men series especially to the requirements of sensitive male skin. They contain the lacto-intensive active complex made from organic whey. Together with further precious ingredients, the products are very well tolerated especially in case of irritations and reddening.